Cooking will become easier than ever when you own this brand new Slicerie™ which will ease your way around the kitchen. 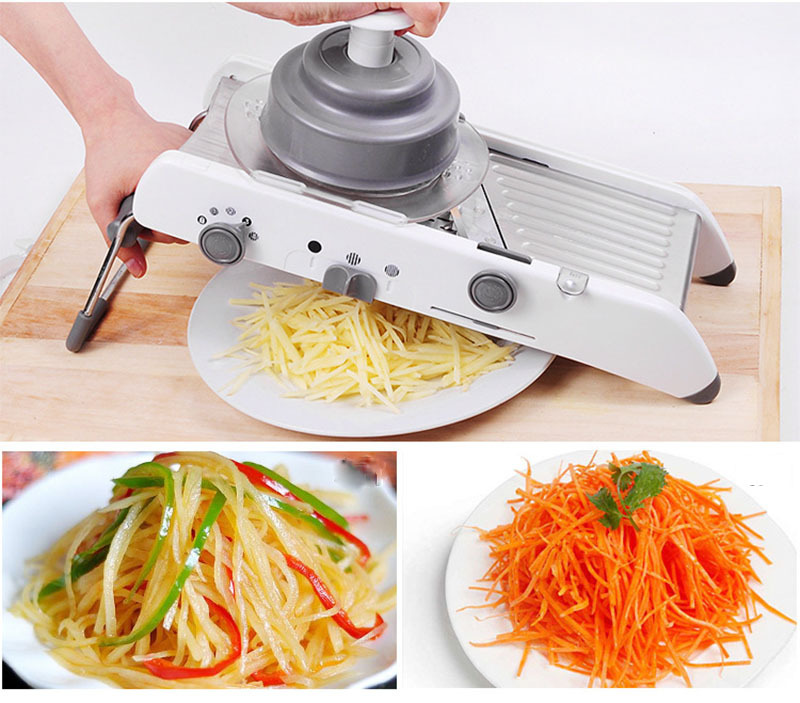 This is a mandolin slicer manual vegetable cutter with up to 21 different cuts all in one. You can slice up your veggies julienne, cube or slice them up in any way you want. Simply adjust the blades from the side and put the vegetable/fruit into the safety holder and slice them up nice. Not just that, you can also choose precisely how thick you want the slices to be using the thickness adjustment knob. 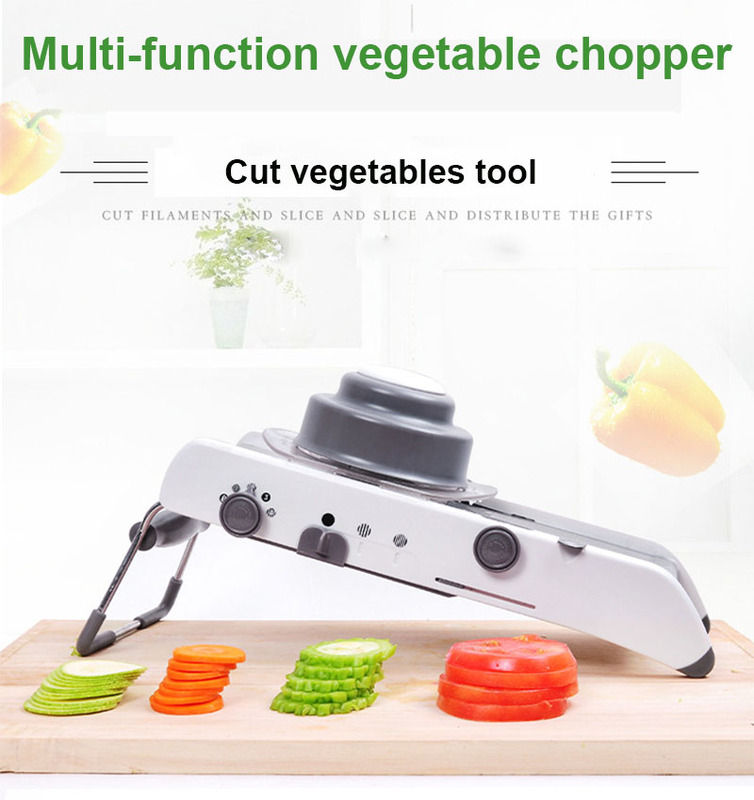 Multifunctional design: You can choose how you want to cut the vegetables along with adjusting the thickness. Also, try the flower knife knob to get flower shaped slices. Time saver: Say goodbye to the traditional style cutting as Slicerie™ will cut the food items much faster than you can anticipate. Easy operation: All you need to do is put the vegetable or fruit into the safety holder and place it over the slice prop. Adjust the shape and thickness and move the safety holder back and forth to get the work done. Premium quality material: The razor-sharp blades with fine edges are made of high-quality stainless steel that is built to last. Along with that, the body is made of premium grade plastic which makes it more durable. It is safe to use and eco-friendly. Anti-slip mat: You can firmly fix Slicerie™ on the table or kitchen slab as it comes with non-slippery mats allowing you comfort while operating. Easy to clean and store: Once you are done, you can remove the safety holder, close the stands and wash the tool easily. Keep it in your drawer or cabinets as it won’t take up much of your space. Material: Blades are made of stainless steel while the body is made of premium quality plastic with anti-slip mats.